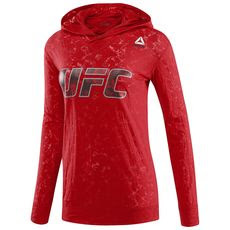 Deals 4 Canada: #AD Announcing UFC Fantasy July 11 Game Prizes Sponsored by Reebok! Short on Time? Short on Money? Save Time and Money!Shop with me! Remember to leave a comment,so we can help you find what you're looking for! #AD Announcing UFC Fantasy July 11 Game Prizes Sponsored by Reebok! Canadian Savvy Shoppers Do You Have UFC Fans in Your Home? 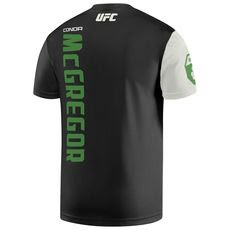 We just got some exciting news about the July 11 DraftKings UFC Fantasy game for UFC 189: Mendes vs. McGregor on the night of July 11th. 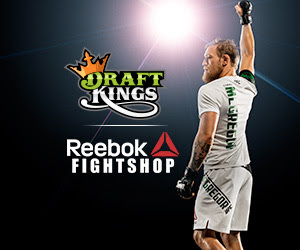 Reebok footwear and apparel partner of the UFC, will also be partnering with DraftKings to run a fantasy UFC game for UFC 189: Mendes vs. McGregor on the night of July 11th. 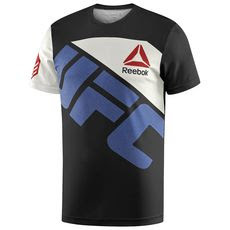 This highly anticipated fight will debut Reebok's UFC Fight Kit from their new Fight Shop. DraftKings is a major online fantasy gaming site with brand partnerships including UFC, MLB, and other US pro sports leagues and teams. If you were to win the Reebok Shopping spree which of these would you choose? Note: Although Reebok only ships to USA, you can save big on International shipping with a USA address through MyUSA do tcom. Is MyUSA.com new to you? See our blog post about MyUSA.com to find out about the this innovative shippingsupplier. Get eMail Updates Subscribe Today! Here are the Latest Saving Tips on Deals 4 Canada. Deals 4 Canada is where we post fantastic Deals, and tips on getting the best buys. Click any title to go to that post. What are you looking to save money on? Drop me a comment, and I'll see what I can source for you! #ad Body Shop Cyber Monday Shopping Tips! Missed a Deal? Click to Subscribe NOW!